Travel theme: Numbers | Oh, the Places We See . . . 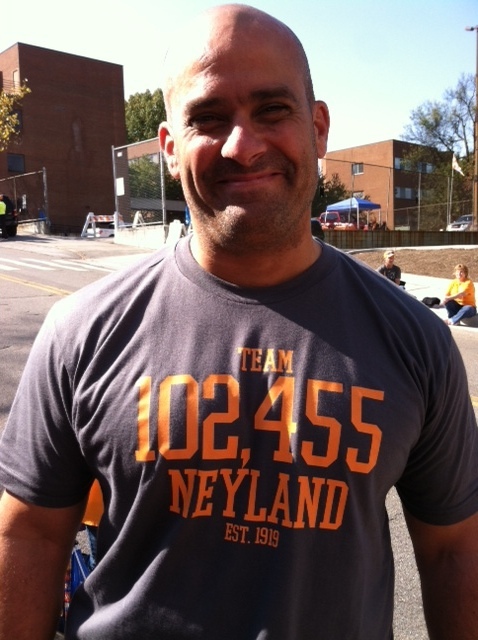 Flying all the way from Los Angeles to Knoxville, this University of Tennessee Vol reminded us that even with some rocky seasons of late, fans still fill Neyland Stadium. At capacity, UT can seat 102, 455 — an impressive number in a venue voted Best College Football Stadium by The Sporting News. Big Orange Fans? Ya gotta love ’em, ’cause numbers are impressive. Win or lose, UT Vols can still pack ’em in! Seating capacity of Neyland Stadium, home of The Tennessee Vols! Since attendance records were kept in 1946, over 25 million fans have watched Tennessee play football in Neyland Stadium! For more numbers in Ailsa’s Where’s My Backpack challenge — Travel theme: Numbers — click here. This entry was posted in Photography, Tennessee, Travel Theme and tagged Big Orange, football, Neyland Stadium, Shields-Watkins Field, stadium capacity, travel theme, University of Tennessee, Vols. Bookmark the permalink. A number that you overlooked: Width of each seat, in order to cram 102,455 in the place: nineteen and a half inches! You are so right! We sit backside to backside in our seats, and our knees jab the folks in front of us while we get the same treatment from behind us!!! It’s even worse if fans from opposing teams buy tickets nearby — too close for comfort! Thanks for reminding me that not all numbers in Neyland are good! Well, Curt, since UT’s not winning very often in football and there are no BIG numbers on the scoreboard, at least we have a large seating capacity that’s sometimes full! Gotta find something to shout about! Go, Vols! Thanks! If you ever get a chance to come here on game day, you’ll love the excitement! The cheer we love best? “It’s great . . . to be . . . a Tennessee Vol”! The Best College Football Stadium, Wow! Congratulations to UT 🙂 Great numbers, Rusha.